Residents are being sought who are keen to make Whitley Bay a better place to live, work and visit. Members of the Whitley Bay Community Task Force are looking for new recruits to join them as they aim to improve the quality of life in the town. The group was set up in September 2014, in response to growing concerns raised by residents to a perceived increase in anti-social behaviour and worries about crime. Residents were invited to share their concerns and guide solutions, with representatives of Northumbria Police, North Tyneside Council and Nexus providing information on actions already delivered. 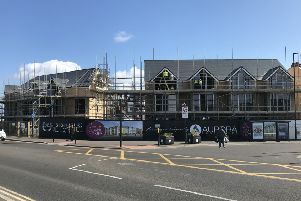 An action plan was also developed to help residents understand the further steps the partners will deliver to enhance Whitley Bay for its residents. They will now be holding a meeting on Thursday, March 3, at the Whitley Bay Customer First Centre, York Road, where interested residents can come along to find out more. The event will start at 6pm, with refreshments and registration taking place from 5.30pm.